Set up in 1684 as Chichester Monthly Meeting by Chester Quarterly (now Concord Quarterly). Component (pre-Separation or Orthodox) meetings were: Concord Preparative, Chichester Preparative, Newtown Preparative, Caln Preparative, Birmingham Preparative, Westtown Indulged, West Chester Indulged and West Chester Preparative. Hicksite component meetings were: Chester Preparative and Concord Preparative. Chichester Preparative was established by Concord Monthly in 1700, the property being retained by the Hicksite branch after the Separation. 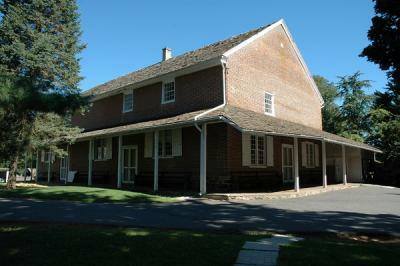 The meeting was laid down in 1914 and its property and members attached to Concord Monthly. It is still occasionally opened for meetings in the warmer months.